The 1-Wire temperature sensor is suitable for precise measurement of the temperature of liquids or outside conditions. The serial number of the sensor is shown on the product. There is a label around the sensor with connector description and the serial number! 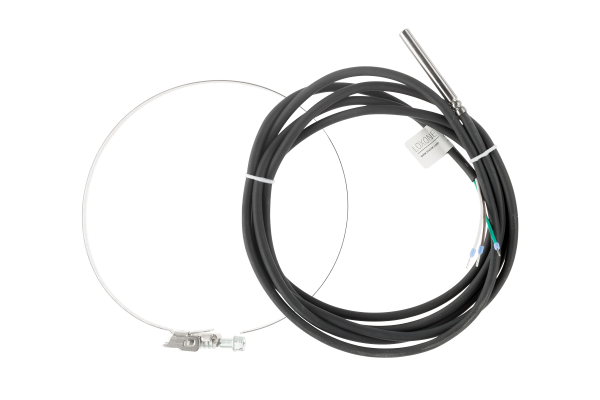 The 1-Wire Extension allows the incorporation of 1-Wire sensors to your system Loxone. The sensors are inexpensive and easy to install. They are ideal if you are installing many sensors. High quality temperature and humidity measurement sensor for hot environments. The Loxone AquaStar Air is the most modern 6-way backwash valve in the world – it links up with the Loxone Miniserver or Miniserver Go, resulting in the first ever fully automated, intelligent pool control system. The Loxone LED Spot WW combines perfect lighting, maximum energy efficiency, highest quality and easy assembly, all in one.